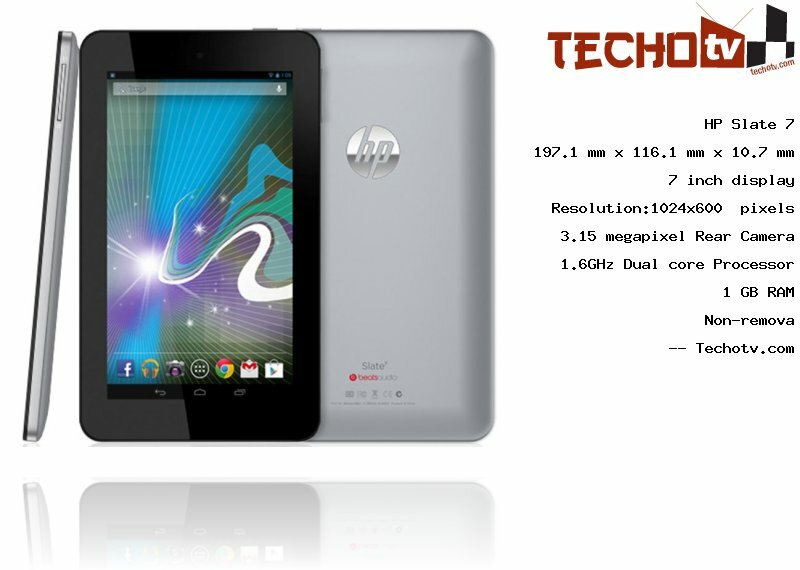 With 1.6GHz Dual core processor, this HP tablet can be a good fit among the medium-range devices. The processor is accompanied by 1GB RAM. It is 7 inch tablet. The display exhibits resolution of 1024*600 pixels. At 170 ppi, we don't hold high hope from the display richness. Talking about its physical form-factor, the device measures 197.1 x 116.1 x 10.7 mm. It has 8 GB of internal memory. A 3.15 megapixel rear camera is present. It has front facing camera of 0.3mp VGA. The Price of HP Slate 7 is $169. More pricing details from different online stores are not available at the moment. Display has High-aperture-ratio Field Fringe Switching (HFFS) panel for outdoor legibity and wide viewing angle. Official Android OS with stock feel, very less customization.